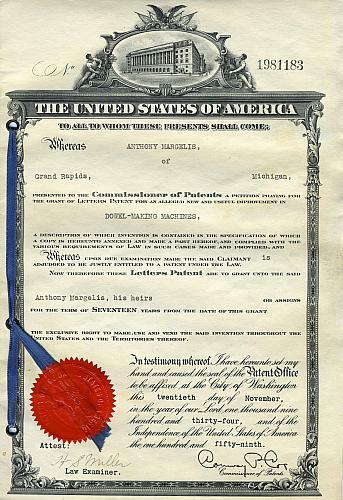 The front page of the patent for a Dowel-Making Machine includes the name of Anthony Margelis, the date of the patent, November 20, 1934, and a numbert at the upper right hand corner. It is tied together with a blue ribbon which is covered with a red seal. Patent document, 11 1/2 X 8 in.